Hi loves, I am so so excited to share with you the July POPSUGAR Must Have box. I was in love with the June box so I was excited to see that they had wanted to send me over the July box. 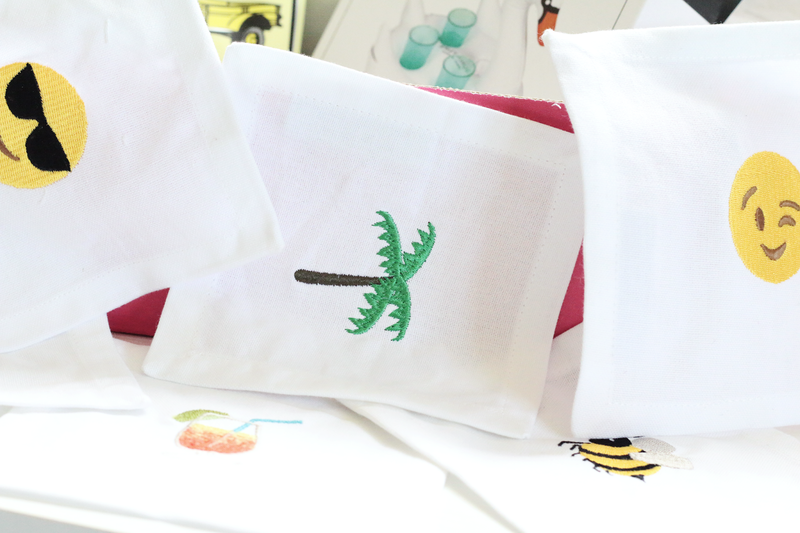 I am so impressed with all of the amazing goodies, and they are all perfect for the summer. 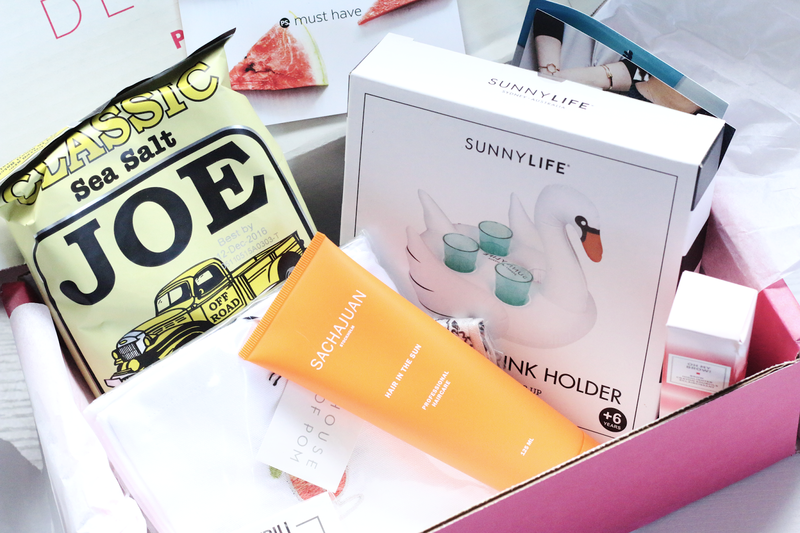 Just like all of the other POPSUGAR boxes, they always include everything from home decor, to accessories, to food, to skin care and beauty. 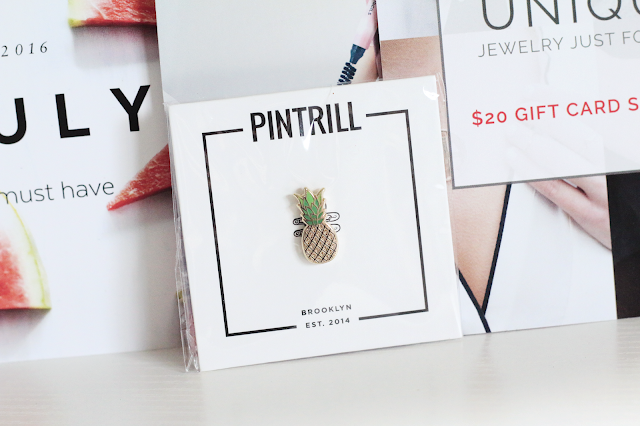 They always include a bunch of fun different products that you typically wouldn't get in a subscription box, which is why I love these boxes so much. 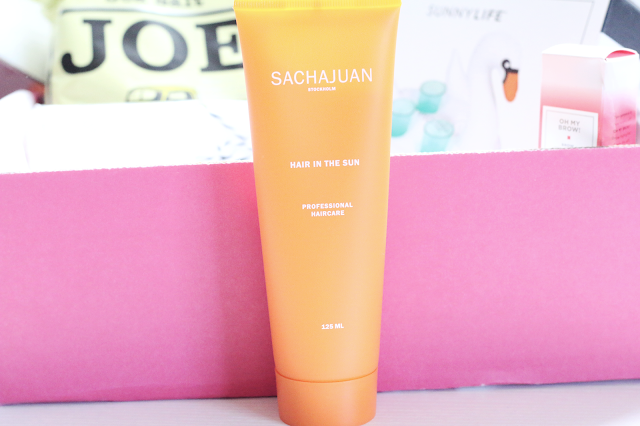 Sachajuan Hair in the Sun: This product is amazing to use if you are going to be out in the sun for hours at a time. It keeps your hair color vibrant with its UV-filter formula. And the best part is that it doesn't wash out in the pool or ocean. This product retails for $32.00. House Of Pom Emoji Cocktail Napkins: I seriously thought that these were the cutest things ever. They come with different emoji's and its so cute to use when using a cold drink. These trails for $25.00. 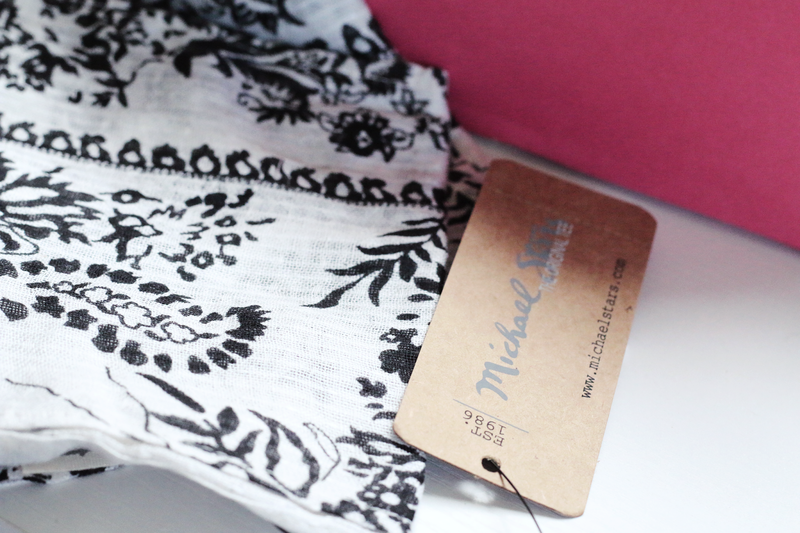 Michael Stars Porcelain Skinny Scarf in White: I thought this scarf was so pretty and you can use it in many different ways. You can wear it the basic way as a scarf or even make a cute hand band out of it to keep your hair out of your face in the heat. This product retails for $30.00. Pintrill Pineapple Pin: This pin is seriously the cutest thing ever! It retails for $12.00. Sunnylife Inflatable Swan Drink Holder: I seriously fell in love with this when I opened the box. 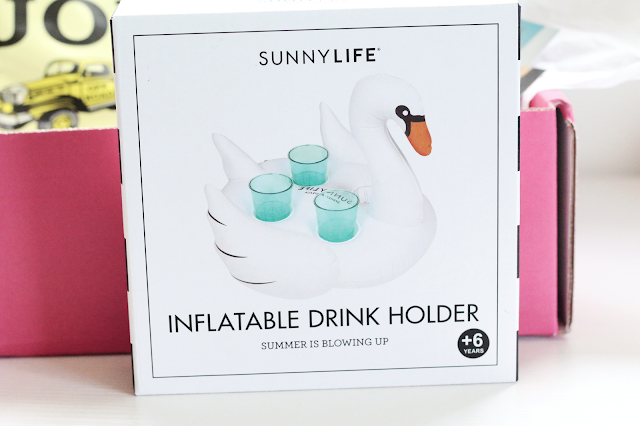 I thought that this was such a clever idea and will be perfect for those tubing days in the water. This product retails for $18.00. European Wax Center Oh My Brows! Brow Highlighter in Pearl: I thought this was such a beautiful highlight for the brow bone. It retails for $19.00. 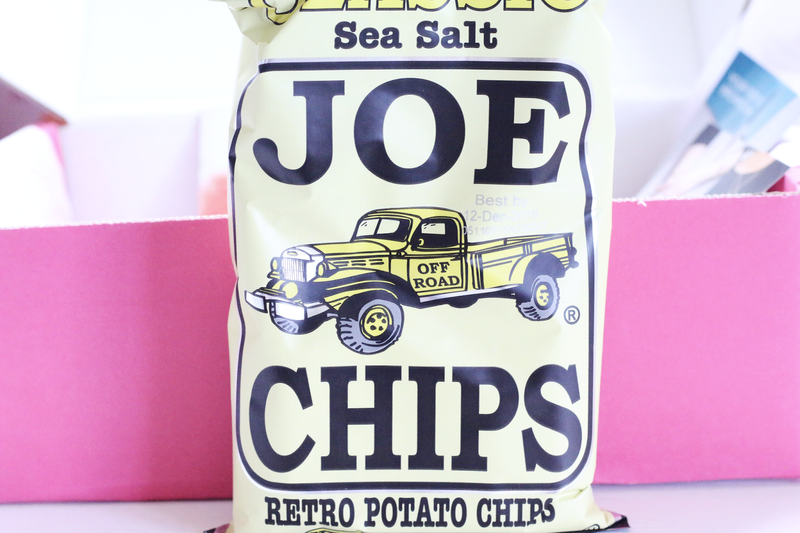 Joe Chips in Classic Sea Salt: I am munching on these as I am writing up this blog post and oh my goodness, they taste amazing! I need to pick up more. And they retail for $1.49. Trove $20 Gift Card: This was a special extra and its a $20 gift card to Trove which is a customizable jewelry store, so I cannot wait to check that out. So with everything that is included in this months box, it does come to a total of $137.49, plus a $20 gift card. So that is such a good deal when the box its self is only $39.95. 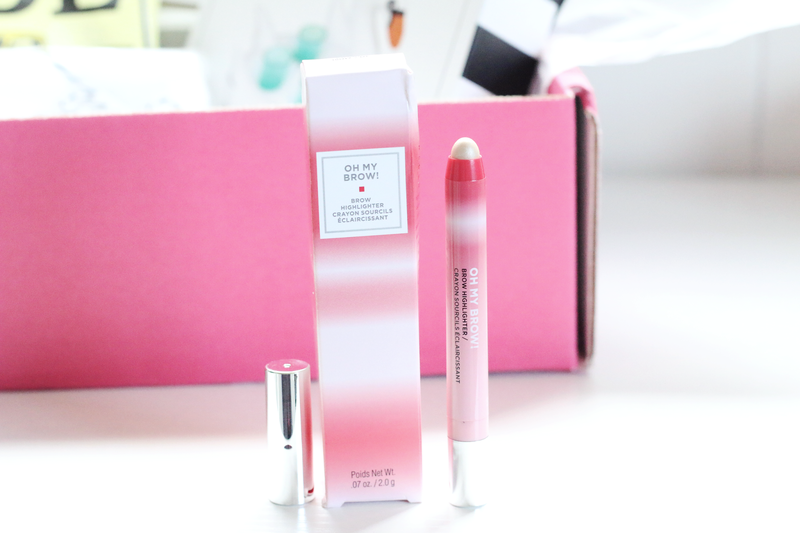 I love everything that was included in this box and I can see myself using everything. Let me know what you guys think of this subscription box and if you have tried it before. 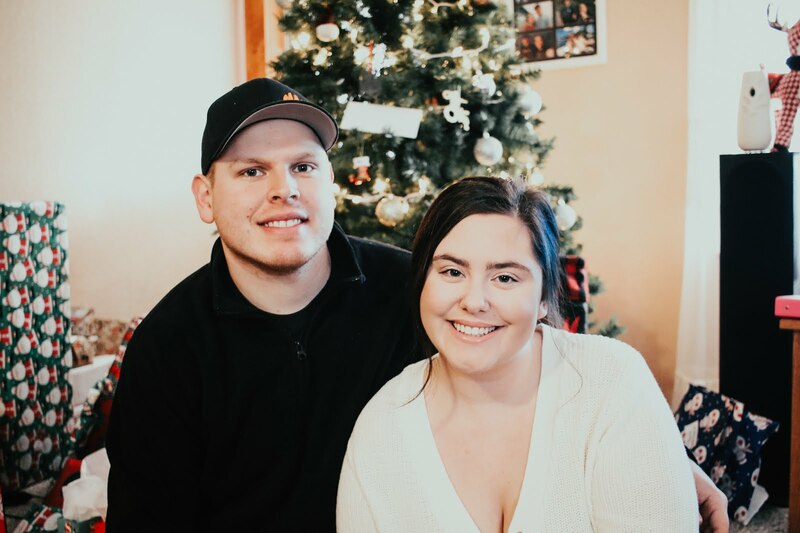 If you are interested in signing up, you can signup through the link: http://link.popsugar.com/u.d?EYGuXpjXmKSt0Nc15hQF=251.